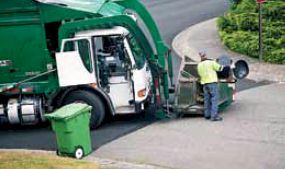 Whether you want to optimize routes for a fleet of 5 trucks or 100, or need routing for high density areas or point-to-point collection, GBB provides software tools that make waste collection and dispatch operations both efficient and cost-effective. These tools eliminate hours spent on manual routing, maximize productivity, optimize equipment and staff allocations, and allow you to gain better control over your operations. 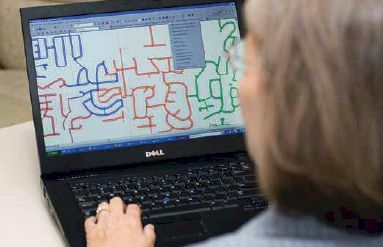 FleetRoute™ is geographic information system-based modeling software for high density residential routing, point-to-point commercial / special waste routing, and districting / analytics / area routing. It balances route times, service days and districts; optimizes travel paths; and reduces the time and cost associated with updating routes. It also integrates with customer service and billing systems. Developed and regularly updated by waste industry veterans and leading GIS experts, FleetRoute™ represents nearly two decades’ experience in designing, building and implementing route optimization software for local governments and the waste industry. FleetRoute™ is flexible and completely customized for your specific requirements. It is available as commercial, off-the-shelf software for in-house route development and management; or as a service by having GBB’s service bureau do all the initial route development; or as a combination of the two: initial route development by GBB and subsequent route management in-house. This is the FleetRoute equation to savings through improving routing efficiency. Sophisticated algorithms solve the most complex routing problems. Using state-of-the-art. extensible, modular software, the FleetRoute algorithm models reality. This means that everything you deal with on a day-to-day basis – your customers, vehicles, depots, disposal facilities, and routes can all have unique variables and attributes that allow the FleetRoute routing software to accurately reflect your operations. How Does FleetRoute™ Provide Better Routes? FleetRoute™ models the relationships between these objects and then applies advanced optimization techniques to solve your problems. At each step in this process you can intervene and apply your judgment and restrictions. For instance, if you want Joe’s route located around Maple Street, you simply drag his truck from the depot and drop it on Maple Street and FleetRoute™ automatically takes this request into account as it creates your routes. FleetRoute™ is designed to approach routing the way you would. Flexibility is key. FleetRoute was created to be highly adaptable. One approach can’t solve every routing problem, so FleetRoute has an adaptable algorithm to provide optimal solutions for all of your routing needs. If a routing technology is not flexible enough to save 100% of your problem, it is not a solution. Simplification in routing is achieved through automation. FleetRoute is designed to approach routing the way you would route manually. This design philosophy produces routes that are immediately useable in the field. After all, hitting the ground running is the ultimate test of success for route optimization software. Solutions Customized for YOUR Needs! FleetRoute™ represents the culmination of a decade of experience in designing, building, and most importantly – implementing route optimization software for the waste industry. FleetRoute™ has been developed by waste industry veterans and leading geographic information system (GIS) experts. FleetRoute™ is designed from the ground up to be a tool for assisting you in forming optimal routes that meet your real world operating needs. Our philosophy is to create tools that utilize your knowledge and experience to generate useable routes – not simply routes dictated to you by a computer. The results of this design philosophy are routes that are useable by you in the field immediately. After all, this is the bottom line for routing software. To top it off, FleetRoute is offered and supported by GBB, a team of experienced solid waste management consultants that understands your needs and challenges. The FleetRoute technology is available as a software for in-house route management or as a service where routing is outsourced to GBB’s service bureau. Optimized travel paths from FleetRoute can also be used in bid specifications, should a community desire to solicit bids for collection services from the private sector. See how FleetRoute is THE solution for all of your routing needs: High Density Residential Routing, Point-to-Point Routing and Districting/Analytics/Area Routing!